Sorry for the barrage, but here’s a second post for this weekend. Before I begin, might I draw your attention to the original Der Deutsche Adel post, which has been updated with a 320kpbs, clean-as-a-whistle rip, for any fans of that fantastic record. 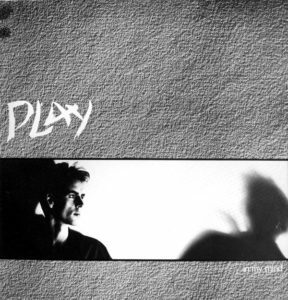 With that in mind, here’s a pair of singles by Play. In a previous post, I had uploaded their Red Movies LP, which was donated with a few bonus tracks tacked on to the end. These extra remixes were ripped at low quality, so I’ve rectified that not once, but twice with these following two releases! Even the band’s initial 12” is represented here, so that should bring us up to speed with a complete discography! 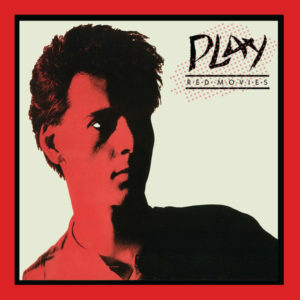 DOWNLOAD LINK REMOVED- at long last, Medical Records has reissued the entire Play discography (Red Movies LP + the extra remixes here) on LP. Order HERE on Bandcamp! 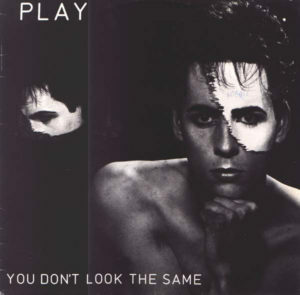 I was just turned on to this record on New Year’s eve, and it’s an underrated synth-pop gem, through and through. Well, it’s more of an EP than a record proper, as it collects all three of UK synthpop act Play’s 12” and 7” singles on one vinyl. Little is known about this one man act, though Wayne Kennedy was assisted by a few Survival Records pals, including David Rome of Drinking Electricty for the recording and release of this 1985 record. Otherwise, it’s simply another fantastic anomaly from the glory days of synthpop. Without more info to contribute, let’s get down to the nitty gritty, shall we?